Various secondary sources such as company websites, encyclopedias, directories, and databases such as Composite World, Factiva, American Composites Manufacturers Association, and others have been used to understand and gain insights into the fiberglass pipes market. 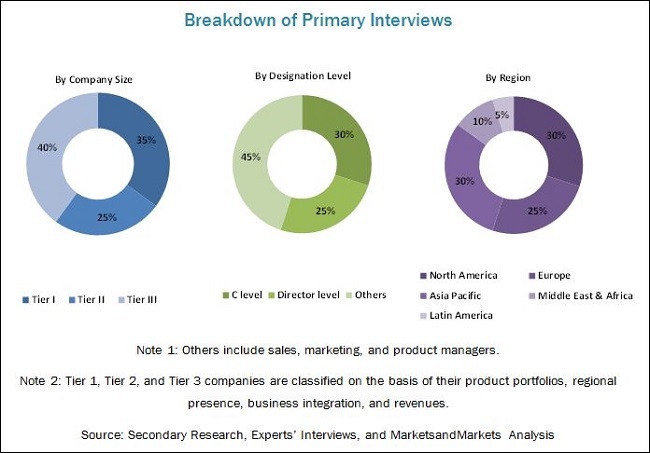 Experts from top fiberglass pipes companies have been interviewed to verify and collect critical information and to assess the trends in the fiberglass pipes market for the forecast period. The top-down, bottom-up, and data triangulation approaches have been implemented to calculate the exact values of the overall parent and individual market sizes. The fiberglass pipes market has a diversified ecosystem, including downstream stakeholders such as manufacturers, vendors, end users, and government organizations. Some of the major raw material suppliers are Arkema (France), Mitsubishi Plastics, Inc. (Japan), Formosa Plastics Corporation (Taiwan), SGL Group (Germany), SABIC (Saudi Arabia), Huntsman Corporation (U.S), and others. 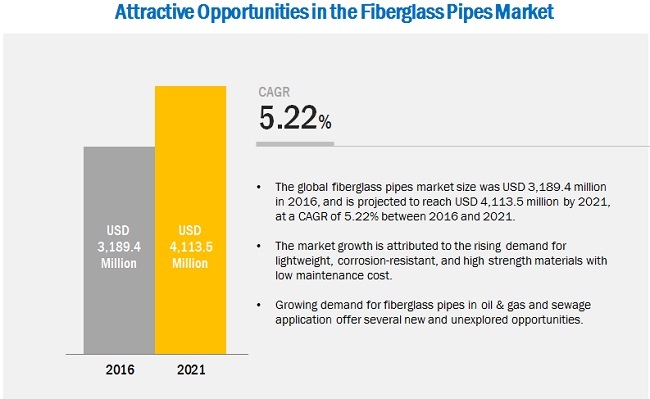 The fiberglass pipes market value chain includes resin manufacturers such as Arkema (France), Mitsubishi Plastics, Inc. (Japan), Huntsman Corporation (U.S), and others. Glass fiber manufacturers include PPG Industries, Inc. (U.S.), Taishan Fiberglass Inc. (China), and others. Further, the manufacturers of fiberglass pipes supply their products to various entities in the oil & gas, chemicals, sewage, irrigation, and other applications. This research report categorizes the fiberglass pipes market based on product type, application, and region. It forecasts revenue growth and analyzes trends in each of the submarkets till 2021. The global fiberglass pipes market is projected to reach USD 4.11 Billion by 2021, at a CAGR of 5.22% from 2016 to 2021. Superior mechanical properties leading to a long product life with low maintenance costs and the increasing demand for fiberglass pipes in sewage and water management applications are the key factors responsible for the growth of the fiberglass pipes market. The fiberglass pipes market, by type, is further segmented into GRP and GRE. The GRE pipes segment accounts for the major market share owing to their high strength, high resistance to corrosion, and ease of installation. Due to these properties, GRE pipes are used in applications including oil & gas, chemicals, and sewage. The major applications of the fiberglass pipes market include oil & gas, chemicals, sewage, and irrigation. The chemicals application is the fastest-growing application segment in the fiberglass pipes market. Fiberglass pipes offer various features including light weight, dimensional stability, resistance to corrosion, and ease of installation in comparison to traditional materials such as concrete and metallic pipes, due to which the usage of fiberglass pipes in the chemicals, oil & gas, and sewage applications is growing at a high rate. Asia-Pacific holds the largest share of the fiberglass pipes market owing to the presence of large chemical industry and government spending on water & waste management in countries such as China, India, and Indonesia. The RoW region is expected to be the fastest-growing regional market for fiberglass pipes during the next five years. The main factors that are leading to its growth are the increasing demand from the oil & gas and chemicals industries. The properties exhibited by fiberglass pipes enhance the flow characteristics, thus leading to low maintenance and long product span. The global fiberglass pipes market is growing rapidly, in terms of value. However, the high raw material cost is a major restraint for the growth of the global fiberglass pipes market. Companies such as Future Pipe Industries (UAE), Balaji Fiber Reinforced Plastics Ltd. (India), Chemical Process Piping Pvt. Ltd. (India), Graphite India Limited (India), Hobas (Austria), Saudi Arabian Amiantit Co. (Saudi Arabia), National Oilwell Varco (U.S.), ZCL Composites Inc. (Canada), Abu Dhabi Pipe Factory (UAE), Enduro Composites Inc. (U.S.), and others are the leading players in the global fiberglass pipes market. 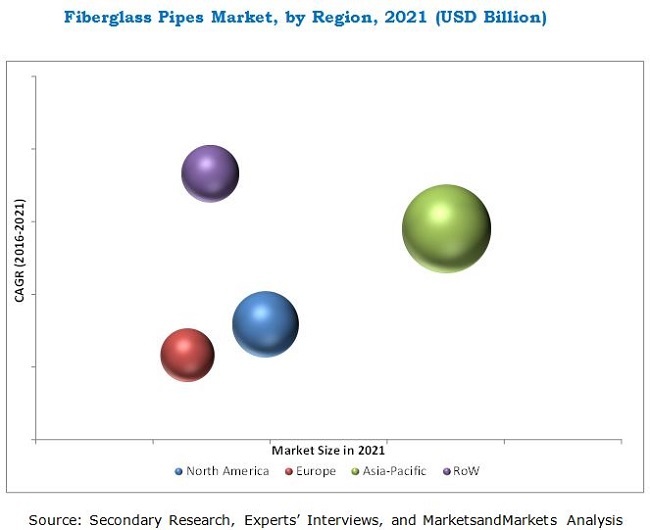 They have been adopting various organic and inorganic growth strategies such as agreements, new product launches, acquisitions, and expansions to enhance their shares in the global fiberglass pipes market. 12.2 Balaji Fiber Reinforced Pvt. Ltd.
12.3 Chemical Process Piping Pvt. Ltd.
12.7 Hengrun Group Co., Ltd.
12.9 Lianyungang Zhongfu Lianzhong Composites Group Co., Ltd.
12.11 Saudi Arabian Amiantit Co.